The Circle of Life Thunderbird House – Whaka Pimadiziiwii Pinaysiiwigamic is the 'spiritual anchor' of our community, symbolizing our spiritual commitment to the future; to healing and creating balance and harmony. 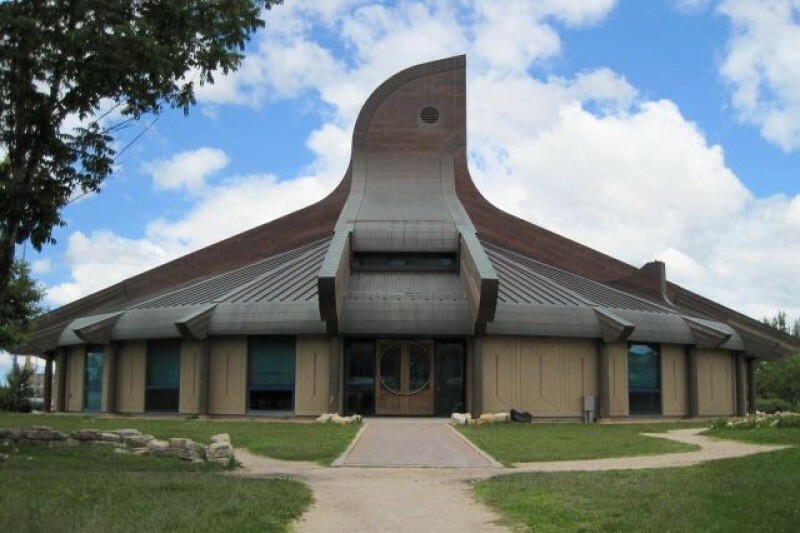 Thunderbird House provides the Indigenous population in Winnipeg the opportunity to share our culture and spirituality with all the peoples, to be open to their contribution and welcome their knowledge and wisdom. Thunderbird House incorporates the four races, the four elements and the four directions. Thunderbird House has served the city's Indigenous community for the past 15 years with a sweat lodge, counselling programs and traditional ceremonies. These services help bring stability to people's lives, and is a crucial part of the holistic approach to healing. It is, in fact, the piece that is missing from the lives of so many of our Indigenous peoples. It is our goal to work with the community to bring tradition and spirituality back to our families, to bring healing to those who need it, and to provide the opportunity to continue practicing those traditions to those who are seeking it. Thunderbird House needs your help to continue and grow its vital contributions to Winnipeg and the Indigenous people it represents. While we are working hard to secure funding for Thunderbird House, we too have been hit by funding cuts. We are working towards becoming a Destination for all people to come to find healing, balance and harmony. The work we do is important to the community and all who need it. We provide these services to the community with no core funding or operational support. While we continue to seek funding for programming, we know that we must work toward self-sustainability. However, we have numerous challenges, and our building has never had major repairs or upgrades. We have many needs, from roof repairs to painting. We need the community’s help to repair and maintain this beautiful building, and to continue to provide these critical services. We are making a number of positive changes; our building issues of the past (too hot/too cold) have been remedied, and we will be upgrading our sweat lodge and lighting around the building. We work with our Elders Council and will very soon be implementing our Youth Council, headed by Michael Redhead Champagne, one of our newest board members. We will be upgrading the interior of the Thunderbird House to welcome renters for the offices and meeting/ceremony space. These endeavours all require funds, we are asking the community to help Thunderbird House by donating, Any amount will be sufficient, and you will receive a Charitable Tax Donation receipt for any donation over $10.00. If you want to help and would prefer to donate by cheque or money order, you may donate in person or by mail to Thunderbird House, 715 Main Street, Winnipeg, MB R3B 3N7. We humbly thank all those that contribute in advance. hi, please share far and wide, Thunderbird House needs your support! Something a little irritating, once I went to this page I cannot escape it. It has taken over my FB, at least on my iPad. I've gone to other GoFundMe pages to try to escape but can't. The problem is with GoFundMe. I will have to delete my FB App and start again. Please let GoFundMe know this is not acceptable. I am willing to assist, where I can, but I want the freedom of my own FB page without it being taken over by GoFundMe. This is so important to support - I have always loved Thunderbird House, as a symbol of the Aboriginal heritage of this city. Please support. Im going to donate $5 every week to raise more awareness. Without government funding, We have a special opportunity to self determine what happens to this place. The Thunderbird house has an opportunity to also be the spiritual and social hub, for Winnipegs Indigenous community.